Clinical Microbiologist, Sulaimani Polytechnic University, Kurdistan Region of Iraq. 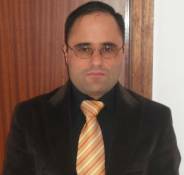 Dr. Muhammed Babakir-Mina did his Ph.D in Medical Microbiology and Immunology in the college of medicine at the University of Rome Tor Vergata, Italy . He is currently studding the host-virus interactions, particularly for HIV, hepatitis viruses, polyomaviruses and clinically important respiratory microbes, by using recently developed, multidisciplinary systematic approaches, and he is also working on the interface of virology, immunology, proteomics, and functional genomics. microbial infections, particularly human viral diseases.